Our technicians get a lot of questions on overhead garage doors from customers every day. Here we have provided answers to some of the most frequently asked ones. Read them carefully so that you will be better prepared to take the right course of action in various situations. Knowledgeable owners always make the best decisions. A professional garage door FAQ page on hand. People have a say when it comes to choosing garage doors and the roll up garage door is usually ideal for small spaces since it doesn't occupy too much space. So, if you don't have a big opening at the garage entrance our company in Placentia recommends roll-ups. Why should I get wireless keypads? It's one way to forget about losing remote controls and enter the world of new age technologies. You will have your own personal code based on the rolling code technology which can be changed easily by you and there are also temporary codes for visitors. How does a self-lubricator work? The newest garage doors that have been seen by our specialists sometimes have a feature that is designed to reduce your need for constant lubrication particularly in dry weather. For example the parts may be made of plastic or have some in-built lubrication device. Nevertheless once a year you will have to do a service. 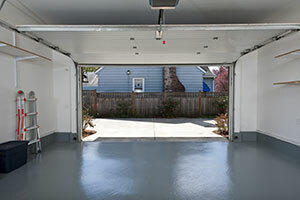 Why is a garage door important to your home? A garage door is a very good investment for your home. It adds to the exterior appeal and also provides much-needed security. However, for different reasons, it might stop working at no time. That is why it needs to be checked by professionals regularly. Our technicians in Placentia can help maintain its good condition. What parts are needed to keep the door secure? For doors with extension garage door springs, our specialists at Garage Door Repair Placentia advise that safety cables are essential as they will run through the spring and will be secured to the wall or ceiling. 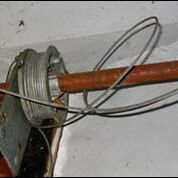 The cables are extremely important as they can keep a garage door broken spring in place, avoiding injuries. Why do remotes have multiple buttons? 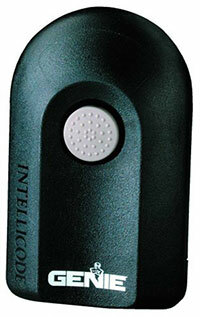 Modern clickers usually have two or three buttons and that's why they are called multicode remote clickers. This gives people the chance to connect more than one garage door opener to the same transmitter and that makes things easier for the homeowner by not having to carry multiple remotes. Our experts explain customers can connect the remaining buttons with an extra operator at home.